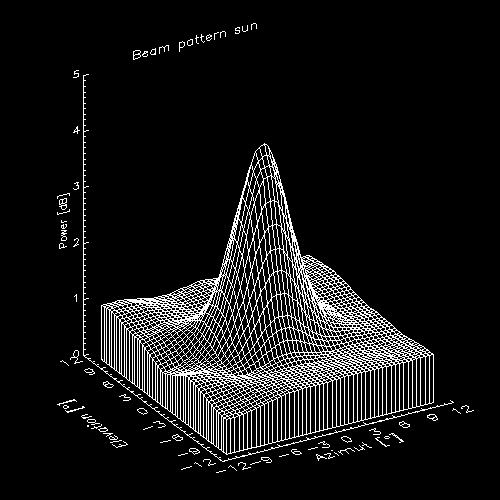 PSF (point spread function) or beampattern (raster fly map) of the sun measured with a 5m dish and Callisto spectrometer. 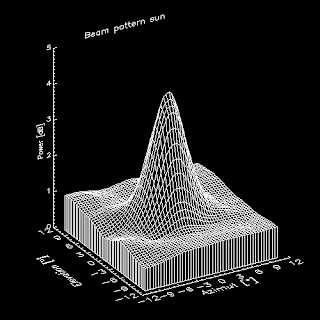 Contour plot of the same data set. Peak amplitude produced by the sun in left circular polarization is about 4 dB.